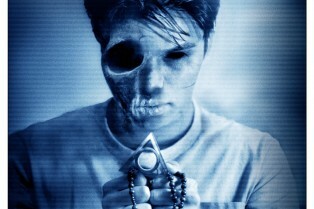 Paranormal Activity: The Marked Ones Blu-ray ..
First Character Details Revealed for Paranorm..
Interview: Christopher Landon On the Paranorm..
Paranormal Activity: The Marked Ones’ B..
Editorial: Why Are the Guys Such Jerks in the Paranormal Activity Series? On January 3rd, Paranormal Activity: The Marked Ones makes its debut, bringing you deeper into the Paranormal Activity mythology and delivering all-new frights. Today, we have an exclusive promo to share with you entitled “Prayer.” This piece is part of a larger teaser “Scream in the New Year” campaign that you can catch up with on the film’s Facebook and Twitter pages. 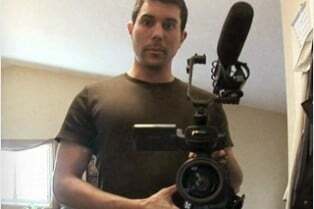 Christopher Landon writes and directs and, today, we have the first clip to share. Richard Cabral, Carlos Pratts, Eddie J. Fernandez, Jorge Diaz, David Fernandez Jr., Kimberly Ables Jindra, Tonja Kahlens and Frank Salinas star. Check out the teaser here and sift through our photo gallery! 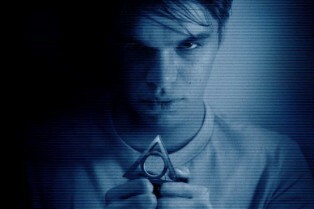 Paranormal Activity: The Marked Ones is kicking up its awareness with nearly a clip or teaser every day this week and today is no different. 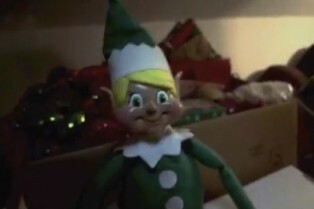 From MTV, we have a teaser spot called “Elf on the Shelf” which uses those creepy stuffed elves as its inspiration. I assure you, there is no elf on the shelf in the final film though. Cute spot, though. In a little over a week, the Paranormal Activity series deviates slightly from the Katie/Hunter storyline in the spin-off Paranormal Activity: The Marked Ones. The film opens January 3rd and is getting some good advance buzz. I saw it and liked it very much (a full review to come). Christopher Landon writes and directs and, today, we have the first clip to share. Richard Cabral, Carlos Pratts, Eddie J. Fernandez, Jorge Diaz, David Fernandez Jr., Kimberly Ables Jindra, Tonja Kahlens and Frank Salinas star. Stay tuned this weekend for something exclusive here on Shock related to the film, too! Paramount has unveiled three new television spots for Paranormal Activity: The Marked Ones. 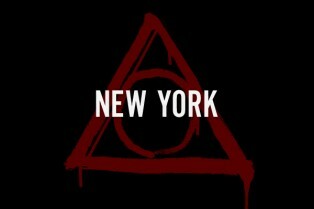 New York-based Shock Till You Drop readers, we’ve got your access to an early look at Paranormal Activity: The Marked Ones on Friday the 13th. The Big Apple is one of 13 cities selected to show the film off in anticipation of the film’s January 3, 2014 release. We have 10 pairs of VIP tickets to give away. To score a pair, e-mail us at [email protected] We will select 10 winners at random on Monday, December 9th and alert you if you’ve won. So, we’re getting more and more one-sheets for Paranormal Activity: The Marked Ones to share with you. Many of them carrying some international flavor. Today, we’ve received two posters touting the film’s overseas release and you can check them out here in our gallery. The January 3, 2014 release is written and directed by Christopher Landon and does not have an “official” plot synopsis to pass along. But, we can tell you Richard Cabral, Carlos Pratts, Eddie J. Fernandez, Jorge Diaz, David Fernandez Jr., Kimberly Ables Jindra, Tonja Kahlens and Frank Salinas star in the spin-off of the Paranormal Activity series. 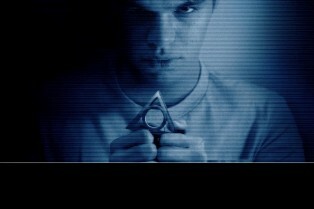 Paranormal Activity: The Marked Ones has begun some sort of new promo campaign that asks: “Will you be the first?” It has done so with a new 14-second spot you can watch here. Lots of stuff flying out, people getting grabbed and creepy kids to behold. There seems to be some sort of “hunt” kicking off on December 6th (this Friday) as well. Written and directed by Christopher Landon, the film stars Richard Cabral, Carlos Pratts, Eddie J. Fernandez, Jorge Diaz, David Fernandez Jr., Kimberly Ables Jindra, Tonja Kahlens and Frank Salinas in this spin-off of the Paranormal Activity series opening January 3rd. This is a Legit Poster for Paranormal Activity: The Marked Ones? If this did not turn up at the always-reliable IMPAwards, I’d say it was fan-made. But I guess it’s not and that’s a damn shame, because this is a tad lame. It’s the latest one-sheet for Paranormal Activity: The Marked Ones. 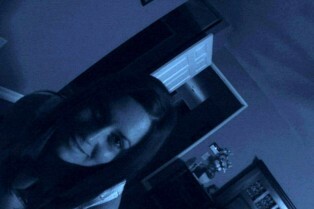 This second version plays into the usual style of the previous Paranormal Activity films. Too bad, I liked where the marketing was going for this, especially after the “skull-themed” poster you see here made its debut. Perhaps this is an international poster? ABC has ordered up an unscripted pilot centered around haunted houses, reports The Hollywood Reporter. The network is teaming Blumhouse Productions on this endeavor, however, no further details were revealed about the project. 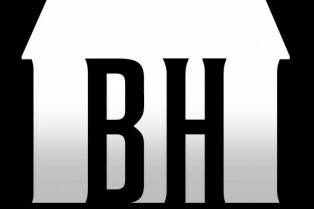 Blumhouse previously collaborated with ABC on The River. Mike Darnell of Warner Bros. TV will oversee the project as well. Of course, we’ll bring you more details as they come in. A brand-new international trailer for Paranormal Activity: The Marked Ones has materialized. 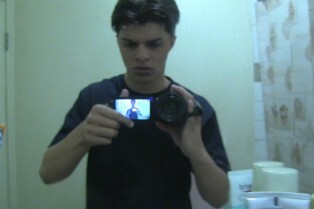 This is the third preview to hit for the spin-off of the Paranormal Activity series. Paranormal Activity: The Marked Ones is doing some things right with its ad campaign. The trailer is intriguing (in my opinion, at least) and the poster, which dropped last week, is effective. An international campaign for the film has yielded an animated version of the one-sheet. You can watch the video inside. Halloween. The morning after. Today is Dia de Los Muertos. The Day of the Dead. And Paramount Pictures has released new 30-second promo for Paranormal Activity: The Marked Ones, opening on January 3, 2014. Written and directed by Christopher Landon, the film stars Richard Cabral, Carlos Pratts, Eddie J. Fernandez, Jorge Diaz, David Fernandez Jr., Kimberly Ables Jindra, Tonja Kahlens and Frank Salinas in this spin-off of the Paranormal Activity series. No synopsis to share yet, but based on the promos released for this film, you can guess where it goes. 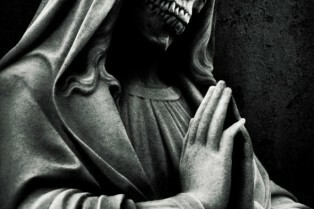 Paramount Pictures has released new promo art for Paranormal Activity: The Marked Ones, the January 3, 2014 release written and directed by Christopher Landon. 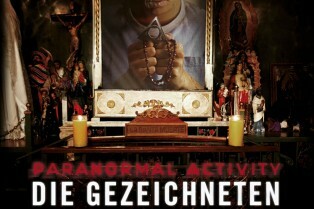 Richard Cabral, Carlos Pratts, Eddie J. Fernandez, Jorge Diaz, David Fernandez Jr., Kimberly Ables Jindra, Tonja Kahlens and Frank Salinas star in the spin-off of the “Paranormal Activity” series. Check it out inside. You can revisit the trailer here.